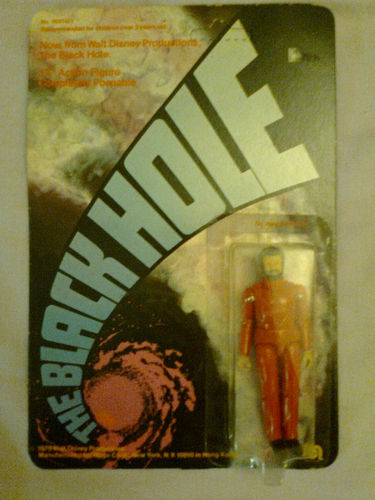 Description: Vintage Mego/Gigi The Black Hole(Walt Disney0 Robot sentry figure MOC unpunched from 1979. The card is bright and has no tears,rips or scuffs etc. The corners have the odd small crease. The card is vibrant and looks excellent. The bubble is clear and has no dents. The figure inside is excellent also. The gun is loose within the bubble.The back of the card is also excellent. There are two creases on the left corners and creasing around the back of the punch. Small tape mark at the top Unpunched Tab Yellowing Bubble with a dent to the bottom right & top left. Condition – Very Good. Bubble has been opened at the side and has some small tears at the edge of the bubble. Hanging hole is intact. Card shows some edge and age wear and some creasing at the back LH corner and back middle edge – pictures on the back of the card have blue pen small ticks. Front shows some small missing top paper where the price ticket was. Figure is in excellent condition. Condition – Very Good. Bubble has been opened at the side and has a small tear under the bubble. Hanging hole is intact. Card shows some edge and age wear and some creasing and a small hole at the top where it was hung up in the shop – pictures on the back of the card have blue pen small ticks. Figure is in excellent condition. Clear Bubble with a dent to the top right. Description: HERE IS MY DISNEY BLACK HOLE COLLECTION THAT IS OFFERED HERE FOR SALE WITH NO RESERVE. THIS INCLUDES ALL 6 12" BOXED MEGO/GIG/PEDIGREE FIGURES ALL MIB UNUSED. BOXES HAVE EDGEWEAR AND CREASES. 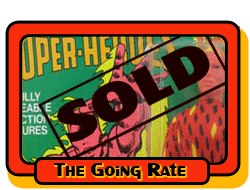 ALL THESE FIGURES ARE SEALED IN BUBBLE NEVER REMOVED FROM ORIGINAL BACKING CARDS FROM 1979. CARDS HAVE EDGEWEAR AND SOME SLIGHT CREASING. AND A MIB GIG MAGNETIC VINCENT STILL SEALED IN THE PLASTIC BAG. I'M SELLING THIS EXTREMELY SCARCE OLD BOB FIG FOR A FAMILY MEMBER SO NO LOW BALLERS ! THANKS !! 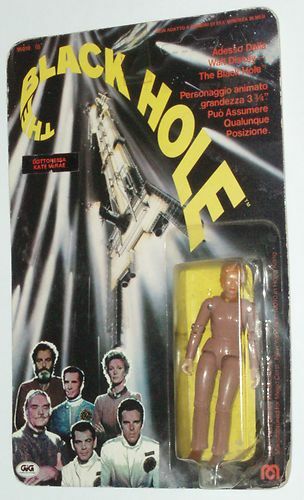 YOU'LL MOST LIKELY NEVER FIND A GENUINE AUTHENTIC 1979 FACTORY SEALED OLD B.O.B. AGAIN !!! DON'T LET THIS GENUINE 1979 FACTORY SEALED OLD B.O.B. SLIP THROUGH YOUR HANDS !! 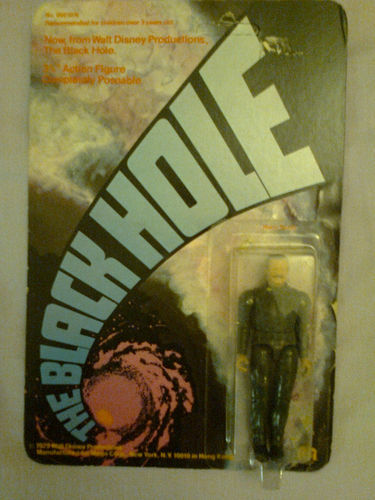 Vintage 1979 The Black Hole Humanoid Action Figure! Lots of HQ Pics! 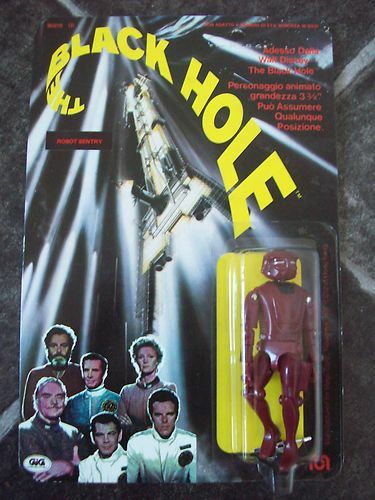 This time on the block, we've got a Vintage 1979 Walt Disney Black Hole Humanoid Action Figure set by Mego! 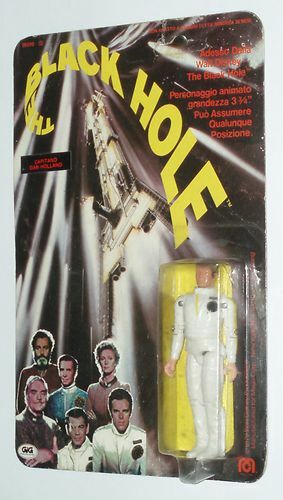 A must-have for any Black Hole Collection!! The joints are all in good condition and hold fine. The head has scuffing on the front and back from play. The cloth cape and boots show no tears or rips.